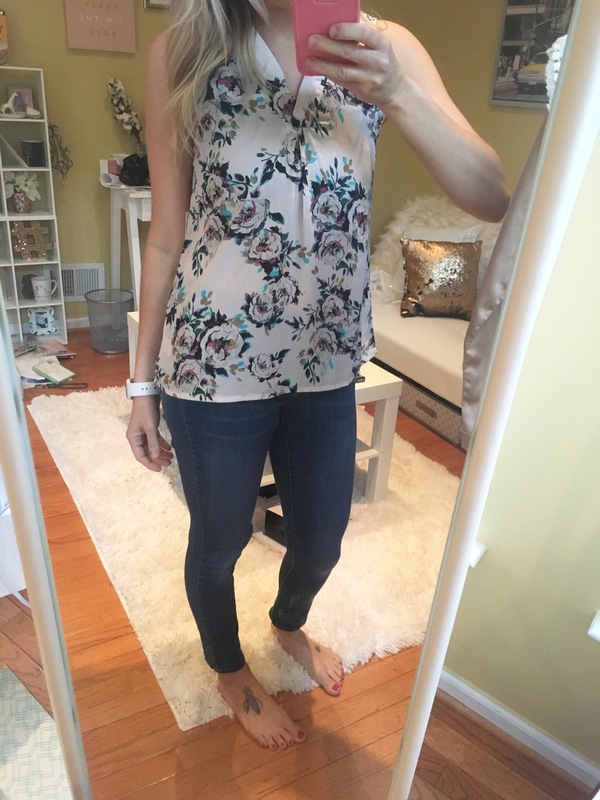 In case you’ve been living under a rock and have no idea what Stitch Fix is, let me explain. You take a quiz and give your stylist an idea of your taste and style. They put together a “fix” for you, which includes 5 different pieces. These can be accessories, shirts, tops, dresses, whatever… it’s a surprise! Your card is charged a $20 styling fee and it’s applied to any of the items you purchase. If you purchase all 5 items, you receive a 25% off discount. Otherwise, you lose the $20. So you have to decide if you’re okay with that in the off chance you don’t like any of your items. I usually keep one of them just to use my credit but that’s up to you! 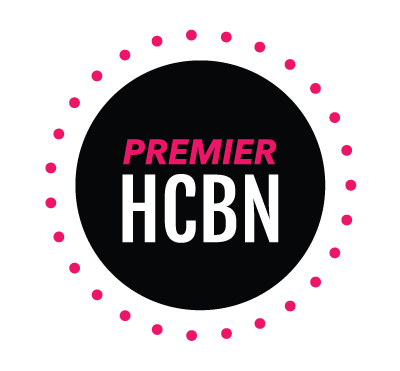 You can schedule your Fix to automatically arrive every 2-3 weeks, every month, every other month, or every 3 months. They also offer maternity, plus, and petite sizing as well. SO they really do cater to everyone… amazing, right?! Alivie Textured Skirt: $58– It was a little large but I also felt like it was just ehhhh nothing special. And unless it’s a special occasion, you won’t find me in a skirt on the daily. Back it went! 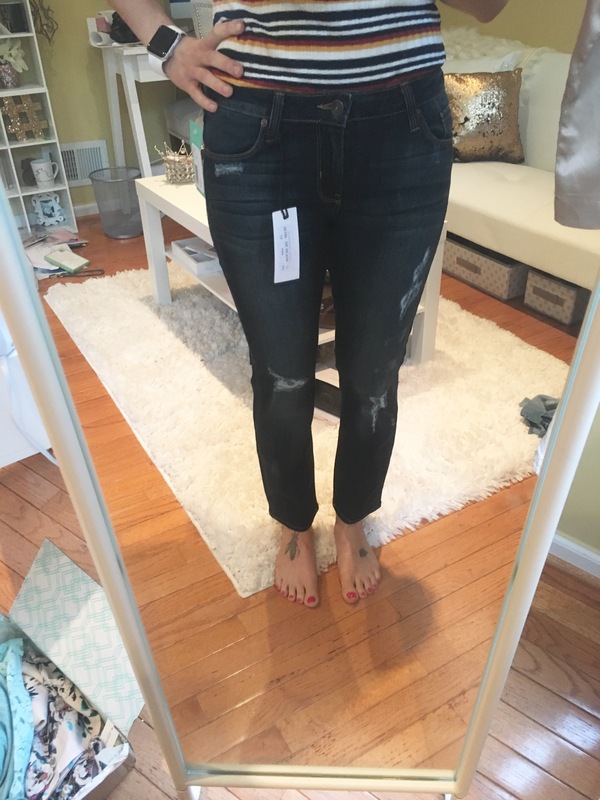 Paislee Distressed Straight Leg Jeans: $78– so this is kind of out of my price range for jeans (I’m a bargain hunter, y’all know this) HOWEVER, I would have paid that much for these jeans. They were super soft and comfortable and fit like a glove. But they were petite and I felt like they didn’t hit me in the right place. So they got sent back. Lowell Lace Detail Knit Top: $34- Super reasonably priced and around what I normally pay for a top. It just wasn’t very trendy and reminded me of a grandma top. Super soft but not my style, this went back as well. Nicolas Lace Detail Blouse: $44– Out of all of the things I received, this was my favorite. I liked the fit and florals? 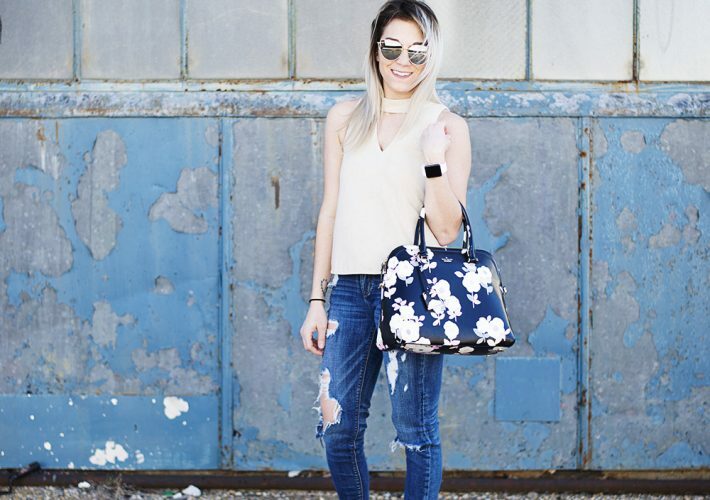 You had me at florals. It was a little more than I would normally pay for a single top but I had to use my credit so this was the winner. 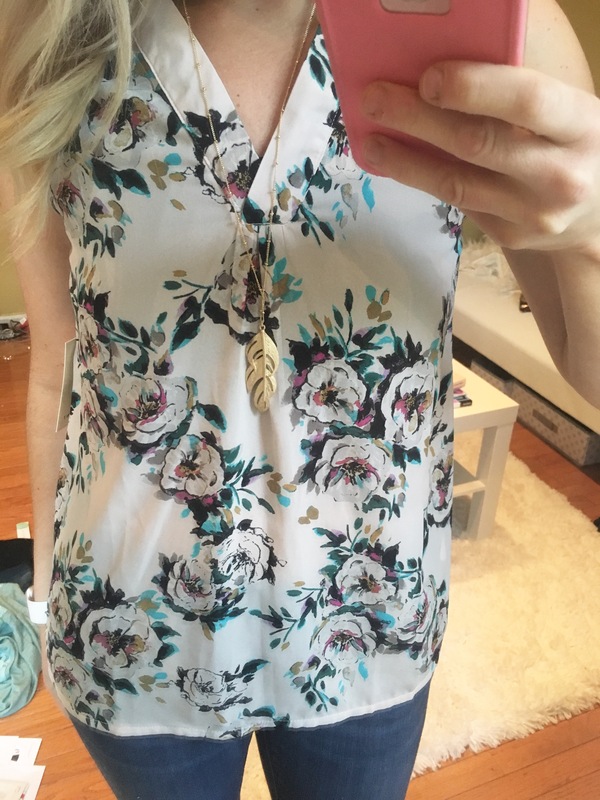 Munroe Feather Pendant Necklace: $28- Super affordable and definitely goes along with my boho vibe, but I haven’t been wearing much jewelry lately. So I passed on this as well. 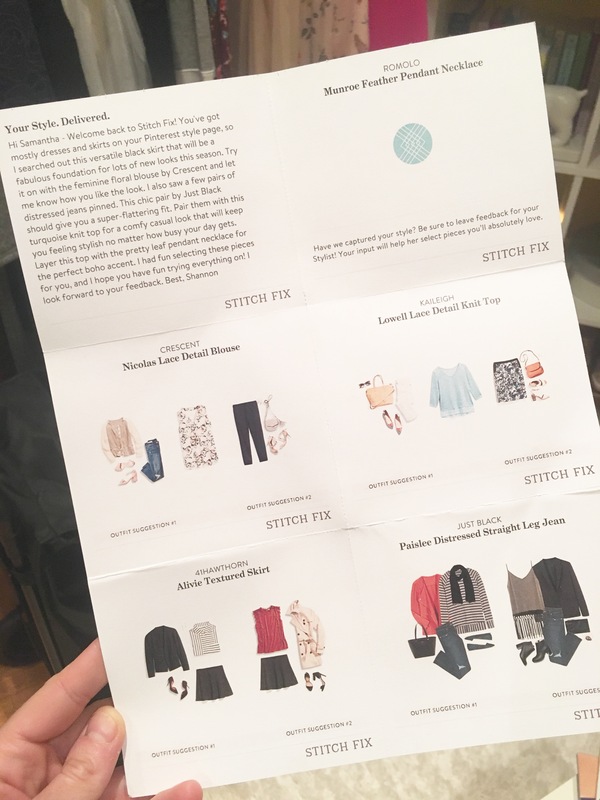 Here is the style card they send with every Fix to give you ideas on how to style the pieces. I think all of the outfits they put together are super cute, just not my vibe/what I was feeling when I tried it all on. But I’m going to schedule another one and see how it goes! 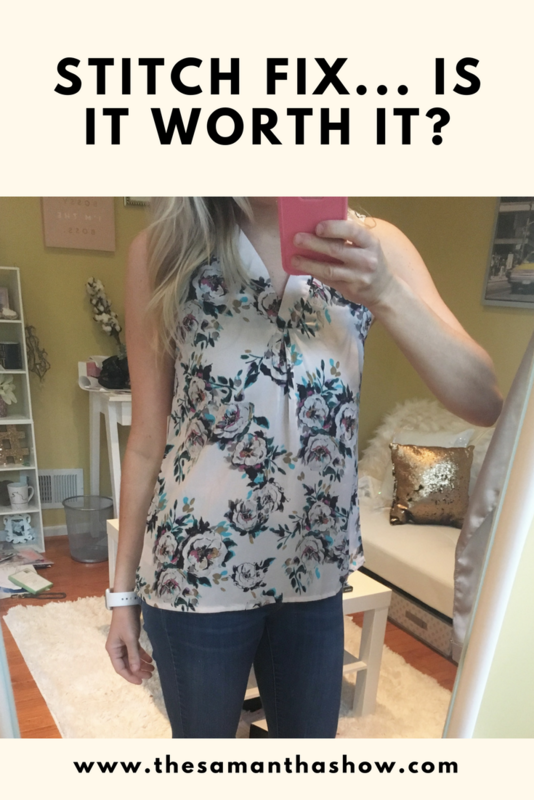 The floral top is for sure my fav too! 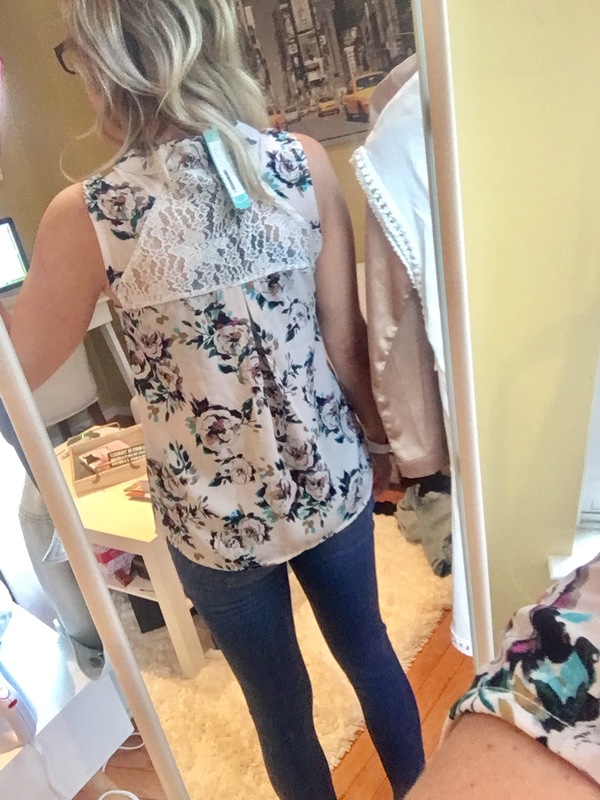 I love stitch fix, it took my stylist a few times to get my style. I think the key is requesting the same stylist so they really get to know you. I’ve tried it a few times and just don’t think it’s worth it… :-\ the quality for the price never aligns for me personally! I was thinking about trying Stich Fix but I still had some doubts. Your post was really useful!